Scrap metal prices SOAR, with nickel leading the charge. Since June 5th, London Metal Exchange (LME) nickel prices have increased 37.4%, copper prices increased 23.7%, and aluminum prices increased 8.5% (See our ‘Metals Prices’ charts for additional metal pricing trends). After years of suppressed scrap metal prices we’re seeing a silver (and copper, and gold, and aluminum…) lining to the dark metals’ cloud that has been hanging over the industry for a few years. With that said, the recent push on metals’ prices haven’t delivered across the board. Many low-grade scrap metal items, such as auto scrap, compressors and low grade insulated copper wires, have seen small increases and in the case of motors, price DECREASES in recent days. The reason is a weak, or non-existent domestic market, and the ever-increasing threat of an import ban from China, the largest consumer of such US exports. As China changes their rules for scrap metal imports, many Chinese importers are offering lower prices (widening spreads) to reduce their risk of a container getting rejected at the port of entry. This is having a ripple affect across the metal-recycling landscape as producers scramble to find news homes for products they can no longer sell to China. China Scrap Import Ban, Why? The rule changes are in response to extremely high-levels of pollution. 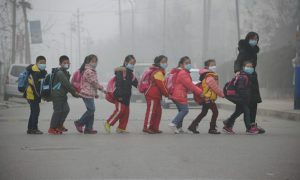 China is being pressured by the growing, educated, middle-class; demanding the government clean-up their act, literally. China tops the World Health Organization’s list for deadly outdoor air pollution as “more 1 million people die in China every year due to dirty air.” To begin addressing this issue, China has begun targeting industries that contribute most-directly to pollution and their metal recycling industry is a prime target. As China implements additional restrictions on scrap imports it will be at the cost to US producers as they will be forced to widen spreads in response and start searching for new homes for their products.